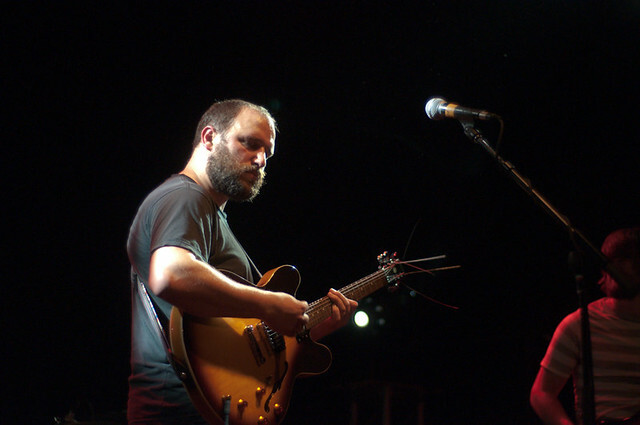 David Bazan’s 2002 album Control marked what became his second concept album as a recording artist. His first full-length effort as Pedro the Lion, 2000’s Winners Never Quit, told the story of the corruption and redemption of a politician, and was a favorite of mine at the time. Despite its intensely personal lyrics, capable songwriting and obvious ambivalence toward Christianity, a particularly agenda-laden Pitchfork review savaged the record and derisively called Bazan a “Christian rocker”. Control is a dark, brooding album that tells the tale of the dissolution of a modern marriage that ends, ultimately, in murder, the downward spiral all rendered in Bazan’s mournful tones. Control did well with critics and fans. But, ten years later, how has it worn? David Bazan is a different artist today. His struggles with alcohol – and Christianity – are in the rearview, and as he told the crowd this night at Music Hall of Williamsburg, he is a better musician. After abandoning the Pedro moniker in 2006, he has produced two excellent solo albums under his own name that stand in their own right. 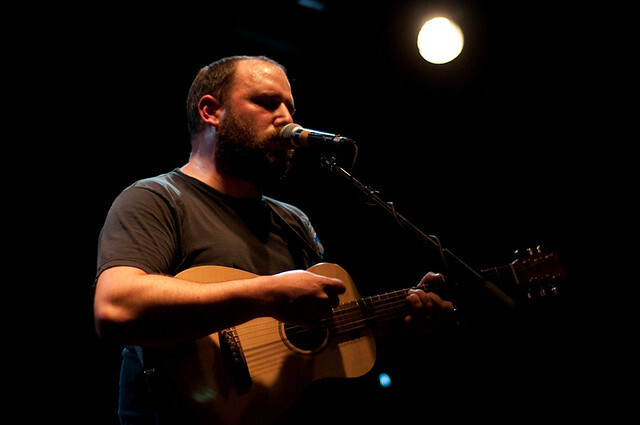 This tour was designed to promote the high-quality vinyl reissues of the Pedro the Lion catalog, including Control, and tonight found David and his band (Alex Westcoat and Andy Fitts, who play on both Bazan “solo” albums) playing each of the LP’s sides with a mix of Pedro and Bazan solo tracks sandwiched in the middle. Along with getting to enjoy Control classics like “Penetration” and “Rejoice” (introduced, to close out the set, as “a bummer”), Bazan played some other favorites mid-set, including “Eating Paper” from his latest solo record, Strange Negotiations, and “When They Really Get to Know You They Will Run” from Pedro’s first album, It’s Hard to Find A Friend. So how did Control sound ten years on? It may be a “bummer” emotionally, but it continues to stand as a musical success. I recorded this set with Schoeps MK41 supercardiod microphones inside the soundboard cage, with an excellent soundboard feed mixed by the band’s touring engineer Brad Lightfoot. The sound is excellent. Enjoy! 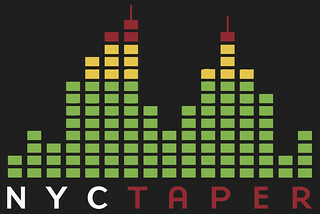 Special thanks to Bob Andrews and Caleb Palma at Undertow Music for permitting the making and sharing of this recording, and Ryan and Nick of MHOW for their kind assistance.